David Ashley White’s secular and sacred compositions are widely performed and published, and he has received numerous commissions from various organizations, schools, churches, and individuals. 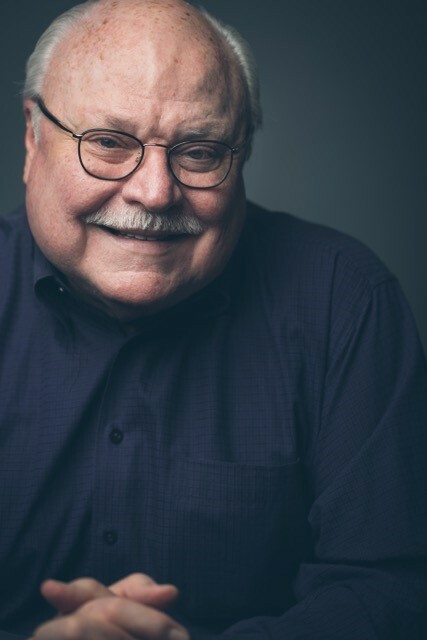 His vocal and instrumental music is recorded on several labels, including Zephyr—Echoes from the American Cathedral, a selection of White’s sacred music, sung by the St. Paul’s Choir, Houston, and The Blue Estuaries, which features his choral suite by the same name, commissioned and performed by the Houston Chamber Choir. On the Gothic label is Praise the Spirit, sung by the Palmer Church Choir, Houston, containing a number of White’s anthems, motets, service music, and hymns. And most recently, on the Albany label, is As you set out for Ithaka (2013), a selection of White’s secular music, comprising works for chorus, solo voice, solo piano, and chamber groups. White’s hymns are found in a number of books, including the Episcopal Church’s The Hymnal 1982 and its supplement, Wonder, Love, and Praise; The United Methodist Hymnal and its supplement; the hymnal of the United Church of Christ in Japan; Great Britain’s Worship Songs Ancient and Modern, and the forthcoming Glory to God: The Presbyterian Hymnal (2013). Also, three collections of his hymns are published by Selah Publishing Co., Pittsburgh, PA: Sing, My Soul: The Hymns of David Ashley White (1996), Songs for a New Creation (2002), and New Harmony: A Harp of Thousand Strings (2006). Recent compositions include In love with the beautiful eyes…, mixed chorus a cappella (E. C. Schirmer), composed for the Moores School Concert Chorale and premiered by that group at the 13th International Chamber Choir Competition in Marktoberdorf, Bavaria, Germany (2013); Creator of the Stars of Night (E. C. Schirmer), mixed chorus a cappella, commissioned by the Maryland State Boychoir for its 2012 Lessons & Carols services; Spirit Moving Over Chaos (Selah Pub. Co.), unison chorus, oboe, percussion, and keyboard, published version for the 2012 Alaska All-State Treble Chorus; Te Deum (Selah Pub. Co.), mixed chorus and organ, commissioned by St. Paul’s Choir, Houston, for its 2011 residency in Exeter Cathedral, UK; The Door Ajar (E. C. Schirmer), mixed chorus a cappella, on poems by Emily Dickinson, composed for the Moores School Concert Chorale’s appearance at the 2011 Florilège Vocal de Tours International Choral Competition; and As you set out for Ithaka (E. C. Schirmer), mezzo soprano and piano, commissioned by Texas Music Festival (2011). White holds a Bachelor of Music in oboe performance and a Master of Music in composition, both from the University of Houston, and he earned the Doctor of Musical Arts from The University of Texas at Austin. He has been been on the faculty of the Moores School of Music since 1977. From 1999-2014, White was the school’s director and was the first recipient of the Margaret M. Alkek and Margaret Alkek Williams Endowed Chair.